Try some stress free shopping this year! See what Scentsy are offering each and every member of the family with fragrances to suit. From safe, flame-free fragrance warmers to cuddly toys for the children, you won’t be disappointed – especially when your online order is delivered so securely and quickly by Courier (UPS) right to your door here in Canada. Visit my Facebook Page to find out more and contact me if you have any queries. Glad to help you get your hands on something as precious as Your Super Scentsy! At last, Spring is officially here – even as far North as we find ourselves in Canada! With the new Spring and Summer fragrances available now through Scentsy, we can at last dream of stretching out on sun-drenched grass to let the long winter chill become a distant memory ~ replaced only by the nurturing warmth of spring. Relax and remember the freewheeling days of summers past and find out how simple it is to create new, radiant memories with these gorgeous new scents… A few of my new favorites so far, are: “Serene Green“, “Tiare Maohi” and “A Wink and a Smile“. As you will discover, these three wickless fragrances conjure images of tulips, and daffodils, distant beaches with luscious gardenia and coconut as well as the happiness of lime, verbena and citrus to refresh the senses! More new fragrances introduced this Scentsy Spring Summer Catalogue include “Pink Cutie Pie” with a kaleidoscope of fresh citrus (clementines, puckery pomelo, and sunny mandarin) with a swoosh of musk. While “Lime & Kiwi” introduces a refreshing mixture of summer cooler, with icy lime, juicy kiwi, and bright cantaloupe. Mmmmm…. summer days ahead, not an April shower too soon 🙂 I know everyone I’ve shared these new fragrances with have loved them. Especially enjoyable in this year’s Scentsy Spring Summer collection is the natural, fruit and floral nature of these beautiful fragrances. Simply gorgeous at bringing the outdoors in, as only Scentsy can. I know I’m enjoying the ability to switch up my Scents as the mood takes me ~ and I know it’s safe, sunny and good enough to share with friends and family. If you ever have any questions about these wonderful wickless fragrances, please feel free to contact me on my website at https://YourSuper.Scentsy.ca. Speak soon and have a wonderful Spring and Summer! Spring is just around the corner, the sun is shining… and we can feel the warmth here in Vancouver! This Saturday the Scentsy “Spring Sprint” team complete the Canadian leg of their Spring Sprint North American tour in Vancouver, beautiful British Columbia, the awesome host of the 2010 Winter Olympic Games just two years ago. Spring Sprint was so well received in Vancouver in 2011, that this year’s event SOLD OUT weeks ago… No surprise, when you learn how popular Scentsy is as North America’s No. 1 fastest growing direct sales company, and the beauty of Vancouver in BC ~ the two spell ‘scentsational’ for a fun weekend! Last Spring, the Scentsy Team were organized, passionate and encouraging ~ despite the magnitude of the trip with two seperate teams in highly visible Scentsy RVs and trailers, travelling both north and south across North America. They covered nearly 9,000 miles to bring Scentsy to 27 cities in the US, Canada and Puerto Rico inside the space of just one month. Quite a feat! Presentations put on by the Scentsy employees and executives were colourful, relevant and meaningful for all Scentsy consultants, whether aspiring ‘work from home’ Moms, small business professionals, realtors wanting to make their homes smell better than their competitors or even members of government services like the RCMP. That was the video that spoke most to me, giving us the credibility that is so often lacking in the direct sales industry, and what I’m looking forward to when I attend the Scentsy Spring Sprint here in Vancouver again. Scentsy’s credibility is what makes it stand out in the direct sales industry. They have increased their sales by over 300% per year since they started business from a 40 foot container on a sheep farm in Meridian, Idaho in the USA. The financial markets did not slow Scentsy down the last few years, and their founders, Orville and Heidi Thompson, have received numerous meaningful business awards. After opening in Puerto Rico, they also started business in Canada in 2009, and expanded into the UK, Germany and Ireland in 2011. This year is starting out with a Sprint, so 2012 will be no less exciting. … and ‘Sincerely Scent’, which introduces a one of a kind, online scented card service. Sincerely Scent is another fabulous Scentsy idea, which will be fully customizable with your own or online images, messages etc. and the price includes delivery of the card to your friend, family, loved ones – with your choice of Scentsy fragrance on the card. Imagine the delight on their faces when they get a card like this from you, through Sincerely Scent. Looks like 2012 is smelling good for those who love Scentsy! If you would like to join us and have this much fun next year, please CONTACT me on my official website. We are building teams in Vancouver and across the whole of BC and Canada, so find out more about us today. What’s With Oranges & Scentsy on Valentine’s Day? 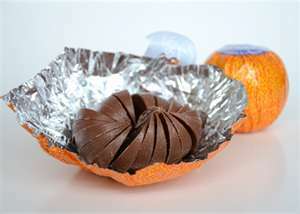 Let’s Begin with Why People Love Oranges, and Chocolate? So it’s not too hard to imagine how great it would be to spend Valentine’s Day surrounded by your favourite orange chocolate fragrance? Just pop a section of Cocoa Clementine Scentsy Bar in your favourite Scentsy warmer, switch it on, relax and enjoy the orange Scentsy fragrance wafting through your home… It’s as simple as that! But if you’re still wondering how you’re going to get through Valentine’s day without having your favorite citrus sensation or dabble in Cocoa Clementine, this blog post at Beauty News NYC will give you more great ideas. Either way, enjoy the treat! Scentsy is leading the way for new fragrances that captivate the imagination of Home Owners, young at heart and more mature alike… Anyone interested in the home decor industry will enjoy learning about and experiencing Scentsy’s new trending fragrances and scents ~ Lovers and others on the lookout for new wickless fragrances you can find them here at ScenTrend. 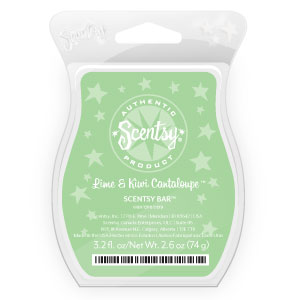 This new Scentsy Bar range is the result of careful analysis of the fragrances people are trending toward, and certainly no mystery considering everyone enjoys a fabulous smelling home, which is why the hip, hop – all ages and fantastically loyal fragrance fanatics are scentrend…ing with Scentsy. Take advantage of the February Scentsy Sale to get on board for scentsational discounts too. Enjoy! Why is January a great time to host a Scentsy Party!? But wait ~ what is so great about a Scentsy party? It’s the sparkle you get when friends and Scentsy products discover each other, it happens naturally—laughing, sharing, and reminiscing! Time and again our Scentsy wickless fragrances evoke special memories and have different meanings for everyone. That’s why our products can’t be explained—they have to be experienced. And that’s why Scentsy parties are so much fun! Flameless, smokeless, and soot-free— Yes, Scentsy’s wickless candle bars and electric warmers ensure you enjoy all the sensory delights of scented candles without the dangers of an open flame. How does it work you may ask? Simply turn it on and enjoy one of 80-plus unique Scentsy fragrances. To find out more, visit my website here: https://YourSuper.Scentsy.ca and select the Host Page where you have access to all the information you need about a Scentsy Party. Decide what style of party you want to enjoy, SEE the double host rewards on offer this month and then Schedule a Party. I will be in touch as soon as I receive your request. The double Half-Price Host Rewards apply to all qualifying party orders, even those where I, as your Consultant act as your Host online, so you don’t even have to attend a “party” as such! If you live in South Surrey/White Rock/Cloverdale/Langley/Delta/Surrey near Vancouver in British Columbia, Canada and want to host a Scentsy Party (either Basket/Home/Open House), please Contact me today! Scentsy cannot offer the Double Half-Price rewards on traditional online orders i.e. it does not apply to online shoppers who have purchased enough to qualify for half-price items online (you will still get them, but not double); and it does not include Host Credit (percentage of free product) at all parties. However, if you don’t have the space or time to host a traditional Scentsy Party for Scentsy Product please also feel free to Contact me for “online” orders through the Contact Form on my website here: https://YourSuper.Scentsy.ca where I will “POOL” your order with others to help you earn some Half-Price product and free shipping which you normally would not be able to enjoy on orders <$200 CAD. It’s as simple as browsing online, as if you were going to place an order… but do not place your order online… Instead browse, decide what you like and add it to your cart to view how much it comes to with Shipping (this S&H is what you will save by putting the order through me instead). So Contact me through my official website, click the category: Buying Scentsy Product & send me your order details & how you wish to pay for it? I will respond as soon as I receive your request. What is in this for you? By pooling your orders with my other customers, in an Online Party, I can ensure you get your choice of a Half-Price Item plus free Shipping. The only condition is that I receive enough pooled orders to qualify the Party i.e. orders must equal or be greater than the US$150/CA$200 target for a “Party” to be qualified. Qualifying Parties are eligible for January 2012’s Double up half-price rewards. So visit my Website www.YourSuper.Scentsy.ca today; spread the word and let me know what you want and how you want to pay for it? We accept most Credit Cards for online orders through our Scentsy Workstations. To qualify, orders must be placed and parties must be closed by 11:59 p.m. (PST) on January 31. Home Decor Making Scents with Scentsy! You will find suggestions from Heidi Thompson (co-owner of Scentsy Inc.) who suggests using Scentsy warmers and fragrances to create “an autumnal feeling in your home.” Scentsy is featured here as a trend setter in home decor styles and fragrances! Scentsy products, which include authentic ceramic warmers and scentsy bars, appeal to a huge audience and is catching on fast with young and old alike, excited to add a touch of contemporary flair to their homes this season! This article positions Scentsy as a large, growing company in the North American Home Decor industry; and we look forward to sharing the amazing Scentsy story as it continues to unfold! Scentsy Consultants Honour AUTISM SPEAKS™ Piece by Piece! After 6 months of selling this beautiful Scentsy warmer specifically designed for this Autism Charity, the donation represents 100% of the net profits of the sale of the Piece by Piece Charitable Cause Warmer in the U.S. and Canada over Spring/Summer 2011, as well as 100% of the net profits of the sale of the 2011 Convention Commemorative Boot Warmer. If corporate greed, government spending and economic uncertainty is getting you down, you don’t stand alone… Those who attended the 2011 Scentsy Stampede Convention in Fort Worth, Texas no doubt once shared the anxiety most recently demonstrated at economic demonstrations in New York City, London (UK) and closer to home for me in Canada at the Occupy Toronto and Occupy Wall Street demonstrations in 2011. However, we are all aware that citizens today can no longer rely on others, whether it’s government support OR your employers, to give you the economic security you’re looking for. Which may explain why thousands of enthusiastic Scentsy Consultants flew in from all over the world to celebrate and learn how to share in the success of this small company, Scentsy Inc., one of the 12 fastest growing private companies in the US. Recognized by Inc. 500 Magazine as the #1 ranking and fastest growing consumer products company in 2010, it is no surprise then that the company’s consultant base expands (especially fast in 2011 when they expanded into Europe, the UK and Ireland) despite recent economic downturns. Scentsy consultants are surviving and thriving in a tough economic climate. Since Scentsy Inc. opened it’s doors to Direct Sales in 2004, they have grown an astonishing 300% per year withstanding the predictions of failure and all too common economic freefall experienced by countless other companies with the same challenges. From very humble beginnings and business out of a storage container on a sheep farm, Scentsy’s Founders know what it’s like to struggle… Their experience puts them in a unique position to understand the challenges faced by individuals in today’s economy. Scentsy chose to ally themselves with the Direct Selling Association in the US, and despite everyday obstacles as a new business, they have persevered and won numerous awards with the DSA over the past few years, including the “Rising Star” Award in 2009 and the “Success” Award in both 2010 and 2011. Scentsy’s unique and fragrant ceramic Scentsy Warmers and wickless wax Scentsy Bars have proved exceptionally popular in homes and businesses across the globe – a SIMPLE SYSTEM and stylish, safe alternative to scented candles. The DSA marketing model has helped them to grow with a thriving consultant base who are making good money, love the products and even more, the company itself. Scentsy provide a strong leadership and support base with training, incentives, rewards and recognition for those who share their vision. The success of the average Scentsy Consultant is, therefore, by NO means random “luck of the draw.” Scentsy’s founders, Heidi and Orville Thompson, once themselves struggling entrepreneurs, are forging ahead on the Scentsy Stampede determined to help more people earn more money. They continue to grow and expand the company – offering hope to many who have found their own income compromised over the last 5 years. Scentsy’s unique and fragrant ceramic warmers have proved exceptionally popular in homes and businesses across the globe – a SIMPLE SYSTEM and stylish, safe alternative to scented candles – not only in the USA, Canada, Puerto Rico and Guam, but also the UK, Ireland and Germany. Find out more about Scentsy and her Fragrant entourage so you can start smelling good too – not just in your home or on the go – but financially as well. We don’t just smell good – We make sense! Make Some Extra Money This Year – Visit my website here and find about how becoming a NEW Scentsy Consultant can help you earn the additional income you need. Together, they were awarded the 2011 Ernst & Young Entrepreneur of the Year® Award during a black-tie gala at the Salt Palace Convention Center in Salt Lake City. Heidi and Orville won the highly-regarded EOY “Entrepreneur of the Year” award from Ernst & Young for Retail and Consumer Products on 23 June 2011. The winners in each category will compete nationally against other entrepreneurs. Last Thursday night’s gala marked the 25th anniversary of the prestigious event at the Salt Palace Convention Center in downtown Salt Lake City, Utah, USA.